Patience and a bit of luck are important factors when fishing at Lake Zell. Whitefish, pike, perch, lake char, zander and lake trout can be caught in the lake Zell from April to November. Whether you are fishing from the boat or the riverside, in Zell am See-Kaprun you will be fishing in one of the clearest lakes in Austria. You can hardly wait to throw your fishing rod into the Lake Zell? Then you should inform yourself in advance about the current price list as well as provisions on Lake Zell. And do not forget to get a fish card at Sport Achleitner, the Restaurant Seewirt, the Fishing Team or the Bräurup before you can enjoy the sunrise on Lake Zell and maybe a fish on the fishing rod. On the mountains, the element of water is even more exciting than in the valley. 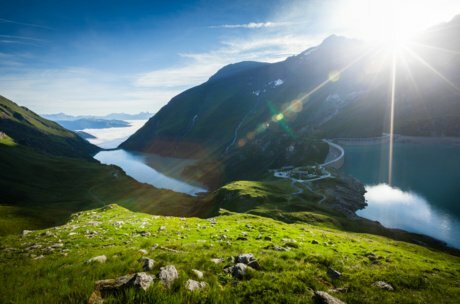 The glaciers of the Hohe Tauern store the water as ice and snow, and when it melts in the summer, the ice flaunts its breathtaking world. Find out more about adventure hikes into the Eternal Ice of Kitzsteinhorn and Co. When the water rushes down from the mountains into the valley in summer, creating canyons, ravines and gorges and raising the levels of streams and rivers. An amazing adventure world is created, ensuring action-packed holidays in Zell am See-Kaprun. Eventful tours through ravines and gorges are waiting where the water roars into the valley. 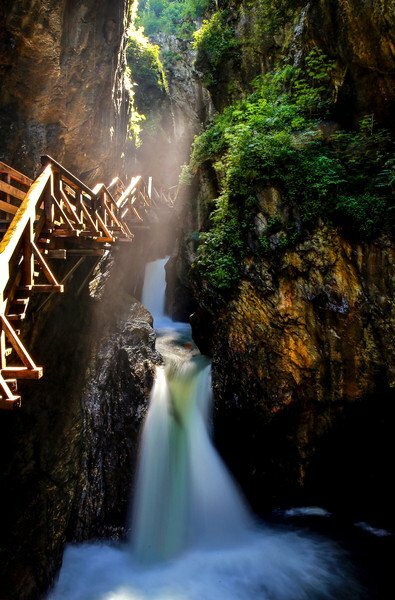 The Sigmund Thun Gorge in Kaprun is only the beginning. 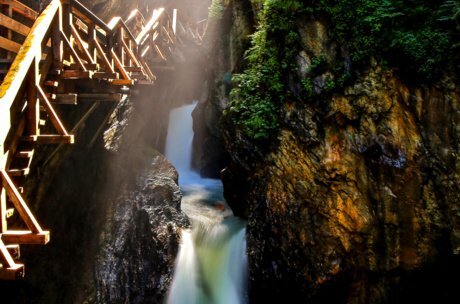 The sheer force of water can be experienced at the Krimml Waterfalls. There you can also experience the water's healthy and healing effect on your body. High temperatures during the thawing period let the flow of the water run faster and we use this to our advantage on the region's streams and rivers. Experience the force of water at close range when canyoning. This calls for the brave to take the lead. We all sit in the same boat and let the water show us its definition of gravity on a rafting tour on the rivers Salzach and Saalach. The Kaprun alpine reservoirs show visitors at close range how much technology, know-how and engineering skills are required for generating energy these days. But this does not only apply to today - the history of the alpine reservoirs is long and a journey into the past with all its strong and weak points will surely fascinate you. A similar experience promises the Weisssee Glacier World when you sit on a sunny bench at the Rudolfshütte and you look across the alpine reservoirs. Enough of daydreaming about the region's beauty and great water sports on a summer holiday. Time to enjoy the many adventures in the Zell am See-Kaprun region. Book your next holiday today or contact us directly. You can look forward to the magic world of water in the Zell am See-Kaprun region!